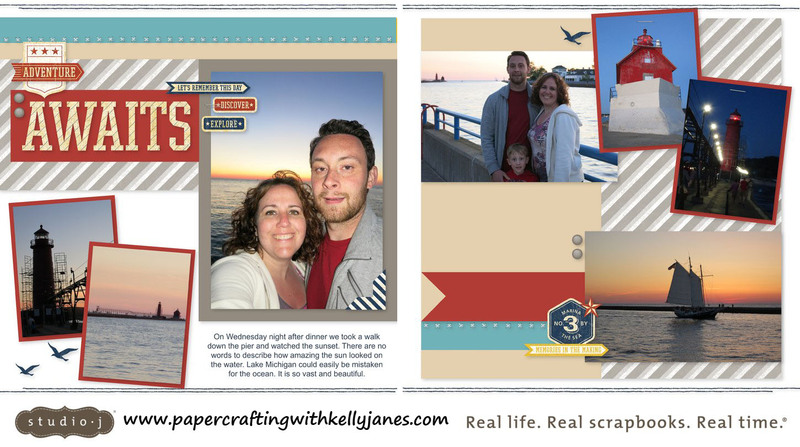 I recently tried out CTMH’s Studio J which is CTMH’s version of digital/online scrapbooking. 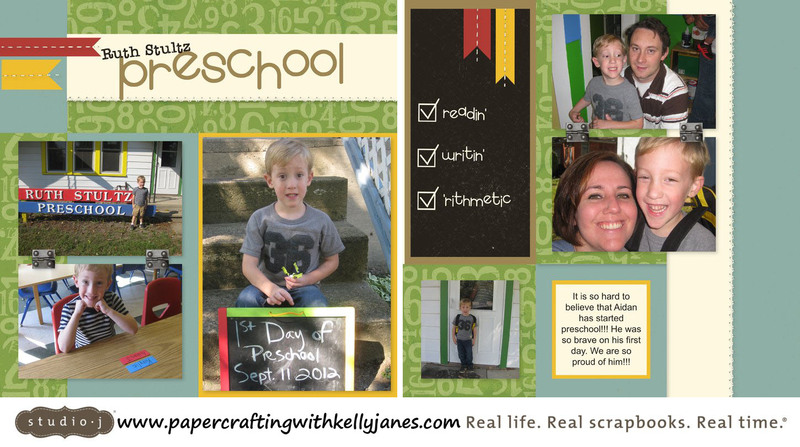 I am a hands on scrapbooker. I like the feel of the paper, cutting the paper, the dimension effect of embellishments so to be 100% honest I was leery on whether or not I would like digital/online scrapbooking. Well…I was pleasantly surprised with how much I liked what Studio J had to offer!!! 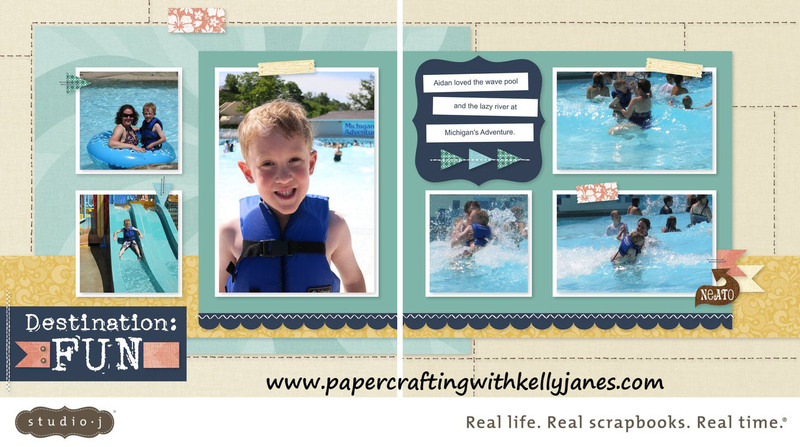 Here is a look at the layouts I created using Studio J…. One of the biggest and best benefits that I found was by using Studio J I didn’t have to print or enlarge any of my photos. My photos were printed directly onto the layout! I LOVED that! I was also very impressed with the print quality of the layouts. Another great benefit is you can choose how detailed you want to be when designing the layouts. There are “Express Collections” which means you choose from completed layouts; just add your photos, title and print!! Or you can “Create Your Own Custom Layout”. 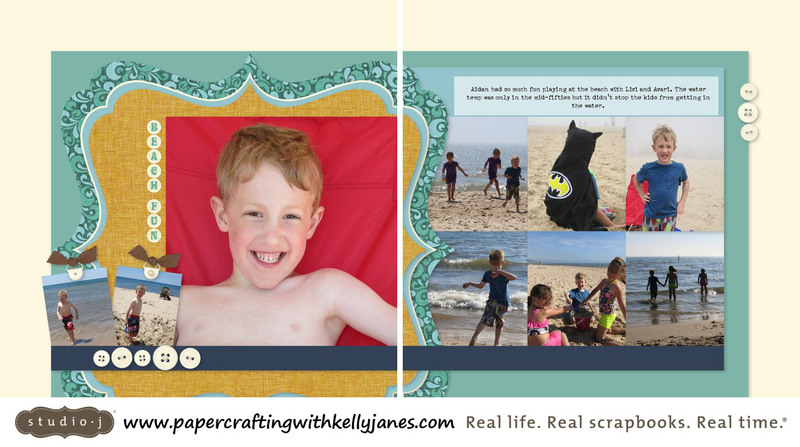 You choose your own kit; pattern, and embellishments to make your layout one of a kind! Studio J layouts can be created quickly for those who are limited on time, but also have many flexible options for artists who want a custom look. Another reason I had shied away from digital scrapbooking is I had always assumed it had to be expensive, but there are multiple ways to purchase Studio J layouts. For as little as $6.95 for a 2 page spread! That’s less than $3.50 per page (remember this also cuts out the cost of printing your photos)!!!! Click here for a complete list of prices and available options for purchasing Studio J layouts. Remember with Studio J no purchase is required to try the software so hop on over and check it out for yourself! I think you’ll be surprised how much fun and easy it is to create beautiful layouts! For complete information and FAQ regarding Studio J click here.